In the world of 1970s motor racing, Hurley Haywood was cool, calm and collected. A five-time 24 Hours of Daytona winner, three-time Le Mans winner and Trans-Am champion, Haywood was a Hollywood archetype: a strikingly handsome man brought up by an affluent Midwestern family. Yet Haywood was often overshadowed by racing partner and volatile mentor, Peter Gregg—the Batman to his Robin—whose abrupt death in 1980 shook the sport to its core. And yet Haywood had secrets of his own. Despite constant public appearances with women, some that included Penthouse models, he remained elusive about his personal life. 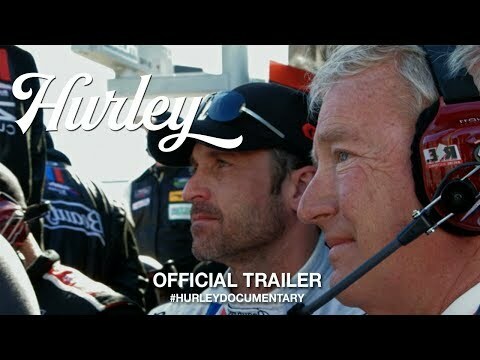 With deft use of archival footage and exclusive interviews featuring actor and fellow racer, Patrick Dempsey, Hurley reveals a greater insight into Haywood’s tightrope walk between career and sexuality, while posing the question—will motorsport ever be ready for openly LGBT racers? Hurley was released on VOD 27d ago in the US. Notify me when Hurley is available.